Stunning Victorian Water Filter with applied decoration in superb condition. 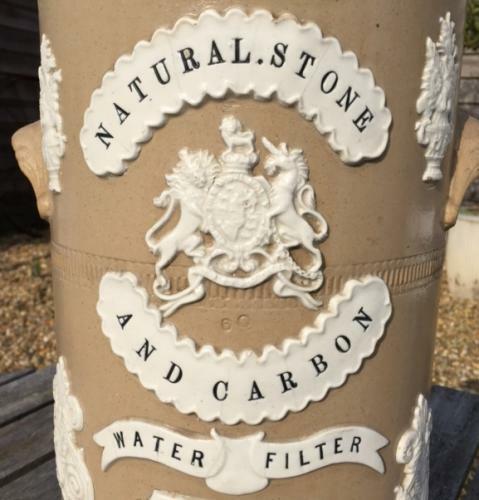 Marked 'The Natural Stone and Carbon Water Filter' made by Doulton for Barstow's of Ferrybridge. Particularly attractive design and compact size.